We don’t claim to be the ultimate authority on such matters, but the Square and Compass in Worth Matravers certainly ticks a lot of boxes and holds a special place in our hearts. 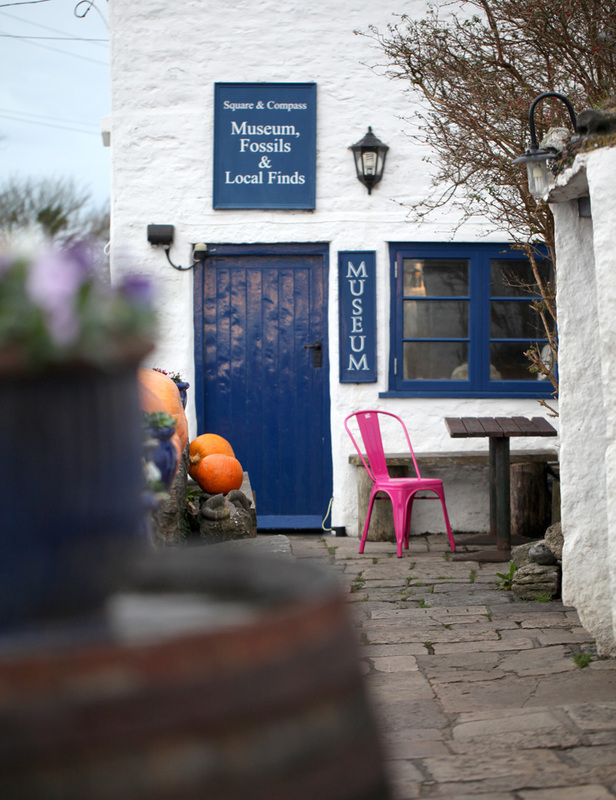 This great little haunt in the heart of Dorset is brilliant for live music and a relaxed drink. Plus, at just 10 minutes from Langton House, its really easy to get to as well! Award winning beers, home-pressed cider, live music and a wonderful atmosphere all contribute to our love for this little Dorset gem. The Square and Compass first became an alehouse back in 1776, though it wasn't until the 19th century, under the ownership of Charles Bower, that the name changed to the one we know and love today. The pub was bought by the Newmans and it passed down through the family, changing hands a number of times over the ensuing years. One thing, though, that has always remained a constant is the pub’s musical element. The family has continually encouraged musicians to bring their instruments along and get stuck in, creating a lively and welcoming ambience. Nowadays the country pub still attracts live acts but has added a number of other special events to its repertoire as well. This includes dressing up for New Year's Eve, summer Square Fair, stone carving sessions, pumpkin Day in October, an annual table-tennis tournament, an autumn Jazz Fest and a bottled beer festival in the winter. There's always something fun happening. Kevin Hunt began running the pub in 2003, having taken over from owner Charlie Newman. Charlie is still in the wings and has now taken to producing his own cider, which you can try when you visit. 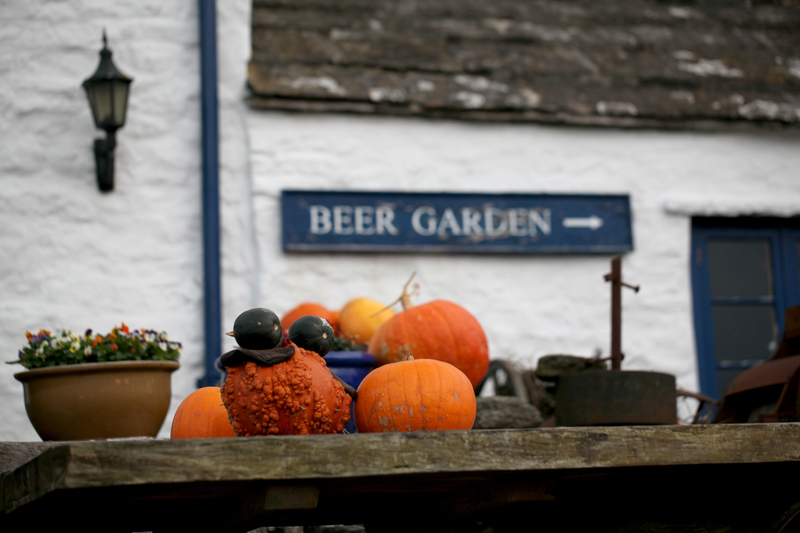 The pub, in fact, has a selection of award-winning beers and ciders so you won't be disappointed. You’ll find a wonderful atmosphere in the Square and Compass and it’s a great all-rounder for those seeking good drink, tasty homemade snacks and great live music. It has repeatedly been included in CAMRA’s Good Pub Guide. There’s even a little museum onsite that showcases a collection of fossils and other local artifacts. Move aside Stonehenge! 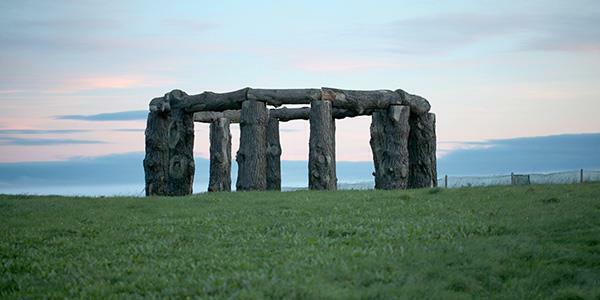 Discover Swanage's very own version of our country's most famous Neolithic mystery. Out the back of the pub you will find a rather curious structure called Woodhenge. On a whim, in the summer of 2015, landlord Charlie Newman decided to construct a wonderful wooden replica of Stonehenge in a field near to the Square and Compass. Though initially asked to remove his Woodhenge, which stands at roughly 10 metres long and 3.5 metres high, the Purbeck council eventually agreed to allow the incredible structure to remain for two years. So if you want to go and admire it, you'd better get a visit in quickly! Have a look at the Square and Compass website here. Being so close to Langton House, it is well worth a visit while you're in the area! Find out how to stay at Langton by entering your details at the bottom of the page to receive a free brochure.